Roys claim they had repaid loan to ICICI. Why did CBI raid #NDTV promoters then? 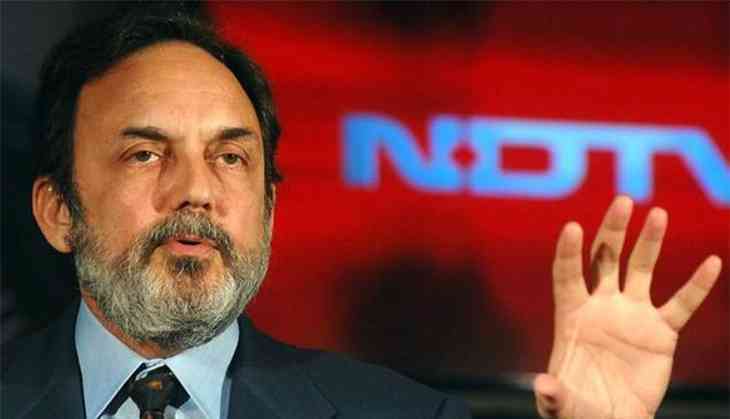 The Central Bureau of Investigation raids at the premises of NDTV promoters Prannoy Roy and Radhika Roy have become a major political showdown. The Opposition and sections of the media have termed it as an attempt to silence the media using the CBI. In the wee hours of 5 June, CBI raided several premises in New Delhi and Dehradun connected to Prannoy and Radhika Roy, including their residence in Greater Kailash I. The raids were related to a case of loan default by RRPL holdings, a company said to be owned by the Roys. A loan default case has been registered against them. NDTV has gone on the offensive and called it a “blatant political attack on the freedom of the press”. “Sources confirm that under pressure, the CBI has been compelled to file an FIR based on a shoddy complaint by a disgruntled former consultant at NDTV called Sanjay Dutt, who has been making false allegations and filing cases in courts of law with these false allegations. So far, he has not obtained a single order from any of these courts,” NDTV said in its official statement. Dismissing the allegations, it further said, “The allegation appears to be for a loan which has been repaid by Prannoy Roy and Radhika Roy more than seven years ago”. It provided proof of the repayment of the loan. In a statement issued in the morning, NDTV said, “NDTV and its promoters will fight tirelessly against this witch-hunt by multiple agencies. We will not succumb to these attempts to blatantly undermine democracy and free speech in India. We have one message to those who are trying to destroy the institutions of India and everything it stands for: we will fight for our country and overcome these forces." NDTV found support from sections of the media fraternity as well as Opposition parties. Raid on @PrannoyRoyNDTV for a 2010 case in 2017? CBI/IT must put details in public fora else will face charge of vendetta against media. Raid on #PrannoyRoy has less to do with financial wrongdoing, more with the 'wrong' of #NDTV being an independent media voice. I condemn it. Caged parrot flaps its wings. As big defaulters sit pretty, CBI raid on @NDTV is attack by Modi govt on media that won't play cheerleader. The company RRPL holdings, which holds a stake in NDTV, borrowed around Rs 396 crore from ICICI Bank in 2008. Some reports suggest that the company defaulted on Rs 48 crore and that the CBI raids are part of a bigger crackdown on loan defaulters. Documents provided by NDTV however say that the loan has been repaid. This is not the first time that this ICICI loan has caught attention. It was first reported by a newspaper in 2010, where it was claimed that the loan was a conspiracy between RRPL and ICICI. The report claimed that company's shares were pledged at Rs 439 each at a time when their actual value was a mere Rs 99. The Roys had, at the time, pressed defamation charges against the newspaper. Information and Broadcasting Minister Venkaiah Naidu defended the CBI, saying there was no political interference. "If somebody does something wrong simply because they belong to media, you cannot expect the government to keep quiet," Naidu told reporters. "The CBI might have received some information. That is why they have taken action." “You cannot distinguish between media people, politicians, doctors, etc. If you have broken the law then you have broken the law. We have to develop respect for the law, and for that, we have to make it clear that nobody is above the law. Fear of the law is necessary and it will be applied no matter who you are,” said BJP MP Subramanian Swamy. TWEET THIS Opposition & media fraternity rally behind #NDTV, accuse Modi govt of trying to silence media Roys claim they had repaid loan to ICICI. Why did CBI raid #NDTV promoters then?